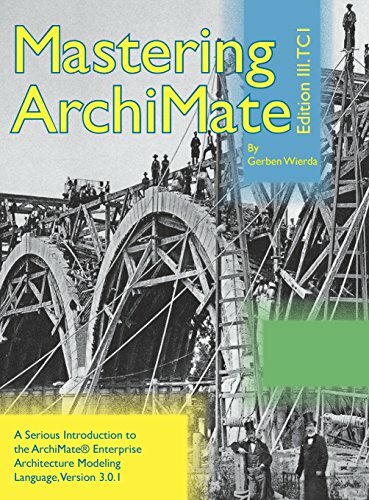 Mastering ArchiMate Edition III is the third edition of a much praised book about the ArchiMate® Enterprise Architecture Modeling Language, which is a standard and a Registered Trade Mark of The Open Group. The book gives an introduction to the language, then goes on to show you key aspects of successful modeling, and many different patterns for its use. From Business to Infrastructure, from Risk & Security to Application Exploitation and Maintenance. While the aim of the book is to teach the language, it often also offers necessary background, so that the patterns can make sense to the reader not familiar with a subject. Thus, it also contains introductions to subjects such as virtualization, bitcoin/blockchain, infrastructure as code, processes versus functions, SOA/API, ESB, Terminal Services, etc. It also contains a short introduction to BPMN in order to describe a linking of both major languages. Forewords by Marc Lankhorst and Jean-Baptiste Sarrodie. If you have any questions about this product by R&A, contact us by completing and submitting the form below. If you are looking for a specif part number, please include it with your message.